Yerevan, Armenia – The Fuller Center for Housing Armenia dedicated 17 houses May 15. The homes were built for families living in "domiks"–metal shipping containers. The domiks are in a temporary housing district formed in Vanadzor after the 1988 earthquake which turned into permanent shelter for many families who survived the disaster that killed some 27,000 people. Many children grew up in the temporary shelters and now their children are growing up in the same conditions. The Fuller Center is working to move as many of these families into permanent housing as possible. Take a video tour of one of the new homes below. The dedicated homes were built in cooperation between ARDA charitable foundation, the Vanadzor city municipality and The Fuller Center for Housing Armenia. Many came to the dedication. Prime Minister Tigran Sargsyan, RA Minister of Diaspora Hranush Hakobyan, as well as the president of ARDA charitable foundation, American Armenian philanthropist Mr. Steve Lazarian, and other honorable guests participated in the official ceremony. In June 2009, thanks to the trilateral partnership, 16 families shifted from metal containers to ecologically safe houses made from Styrofoam blocks. This year that number will increase with 17 more happy families. 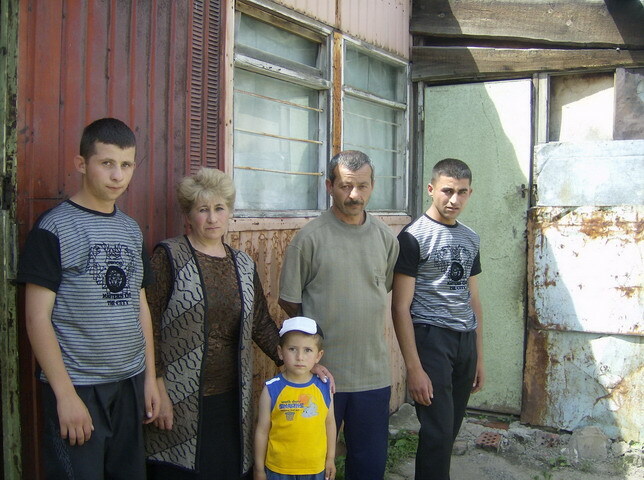 Visit www.fullercenterarmenia.org for stories about individual families with new homes.